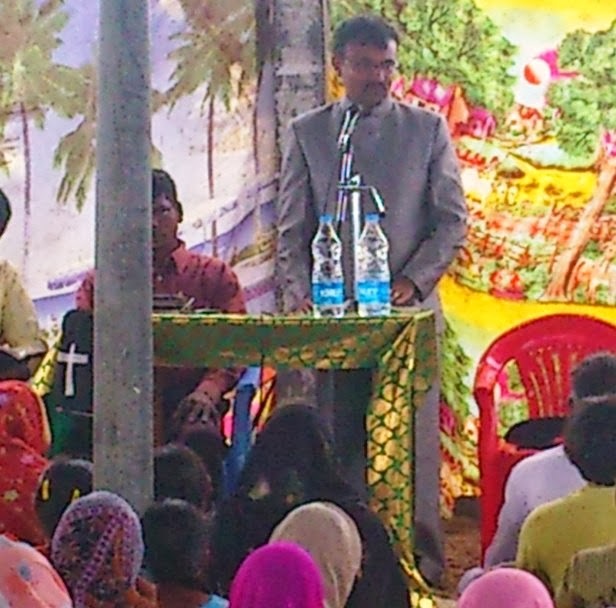 Pastor George Fernandes runs a growing Christian ministry in Bangalore and surrounding areas of India. After catching a vision to serve God and transform lives in India, he started Helping Hands India (HHI) a ministry to orphans, children camps, care for widows and the elderly, a church planting and training program, a Bible Institute, the establishment of churches, and supporting local pastors. Where did Pastor George catch the vision? On the train track! But after sitting near the track for forty minutes, no train had passed. He heard someone speaking to him saying, “Why do you have to die? What will you achieve by death?” He got up from the track and made his way to the main road. Within five minutes, a train passed the track behind him. After realizing that God had a purpose in his life, Pastor George pursued a degree in theology, despite much financial strain. After finishing his degree in 2001, his dream of serving Christ became a reality with the start of New Hope Children’s Home with ten Indian orphans. The orphanage now cares for sixty children, all of whom are growing spiritually, getting baptized, and attending one of the best schools in Bangalore to study English. And, three more New Hope for Children homes have been opened: in Rajoli, near Bhadrachalam, and at Ambur. The number of children in the four orphanages is currently 136. But it has been far from smooth sailing. Yet God had heard their prayers. A couple called New Hope past the regular visiting hours and wanted to drive up to the orphanage. They arrived and were impacted by Pastor George’ ministry, explaining that they had come to India on business, but they wanted to see a children’s home before they left. After phoning fifteen other orphanages to request a visit, they called Pastor George, and he was the first one to answer the phone. They presented the pastor with the equivalent of $250, double that which Pastor George had prayed for hours before. This is not the only time he has seen miracles. “Government agencies came for inspection and threatened us that they would close the girls’ children home and take away the Manipuri children,” said Pastor George. After much prayer, the inspector who had threatened them said nothing, and the judge commended their work. And yet another time the pastor and his family prayed to speak with the media, which tends to never say anything good about Christian orphanages. Instead, the station aired and noted that Pastor George’ ministry was the best of many children’s homes. Most recently, Pastor George was blessed with the $9600 in donations needed to move the girls’ orphanage to a better location. The growing number of children had no better place to go, so Pastor George sacrificed his home. About why he was willing to make such a sacrifice for his ministry, he explained the hardship that Indian girls face, such as not given a proper education and even being sold or killed. At the New Hope for Children orphanages, there are still an abundance of needs. At present, they are seeking land and a building for the children in Bangalore, as well as for the home in Bhadrachelam. They are also in need of a school bus to transport children and donations to cover their school fees. Pastor George’ ministry is also regularly in need of sponsors for children, monthly costs, missionaries, the church planting training program, and youth camps. While his aims may seem enormously high, he knows that everything is possible with God. The pastor and his family have dedicated their lives to transforming hearts that may never have seen love otherwise. Pastor George put it simply: “Pray for us. Share about us. Partner with us. Come and visit us.” What a mighty God we serve! 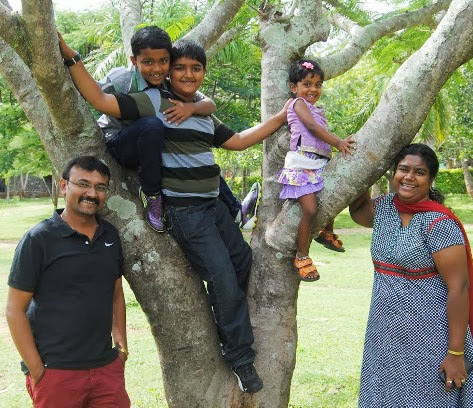 You can learn more about the ministries of Pastor George… and learn how you can partner with him here: Pastor George, New Hope for Children orphanages, and Helping Hands India.